AOMusic is a select group of artists whose foundation for their music is in part, a humanitarian message about children around the world who are in need of our assistance. In addition to the beautiful world fusion rhythms heard on their release – …and Love Rages On! 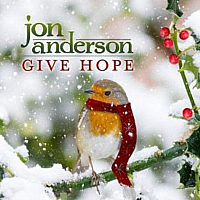 – it’s the children and boys choirs featured on AOMusic’s album that is in itself special. The children’s youth choirs from Africa, America, China and the People’s Republic of Georgia are underprivileged children who are often the tragic victims of war and famine, in some cases due to greed and corruption within their own governments. Many of the children featured in AOMusic’s choirs are homeless or orphans. AOMusic has a message to share by their music. 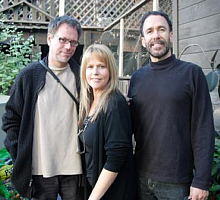 The principal members of AOMusic group are founder Richard Gannaway, Jay Oliver, and lead singer Miriam Stockly. The message of the principal members, in addition to their contributing artists, is sincere and a simple one. It’s about children who need our help. Through music they hope to raise awareness by reaching both our ears and our hearts. For some people it is much easier to let someone else do what is necessary to help combat the plight of children in need, and too many times the message falls upon deaf ears. Thankfully, there are people worldwide who do take on the task by their contributions of time and money. They are the people we would like to express our gratitude. New Age Music World host John Olsen has interviewed founding artist Richard Gannaway and vocalist Miriam Stockly of AOMusic. It is our hope everyone can learn more about the children and AOMusic’s message through music album entitled …and Love Rages On! John P. Olsen: Richard and Miriam, thank you for consenting to this interview. I have learned a lot more about AOMusic, and your mission to bring awareness to the plight of the children’s choirs featured in your newest album. I am able to recognize your personal contributions on behalf of the children, and your desire to get other people involved is sincere, and it’s a privilege to participate by hosting our interview today. Let me begin by saying your album is a fine release. In fact, earlier I selected AOMusic’s – …and Love Rages On! 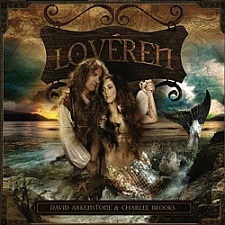 – for the Best New Age Albums in 2011 Awards on January 1, 2012 here at New Age Music World. I have a lot of questions about the children featured in your release, but let me let me ask a couple questions about the album they have performed choir vocals on first. Your release was selected a qualifying album in Zone Music Reporter’s 2011 Album of the Year, Best World Album and the Best Vocal Album categories. With the ZMR Awards for 2011 to be announced on March 11, 2012, do you have confidence – …and Love Rages On! – will be among the albums selected in the Zone Music Reporter Awards in 2012? Miriam Stockly: I have high hopes for – …and Love Rages On! – and certainly winning one of these prestigious awards would be a great honor for us all. John: With the 3 Zone Music Reporter Album of the Year, Best World Album and Best Vocal Album categories, do you feel you have a better chance of winning in any particular award category – since you can pretty much tell which albums by other artists you are competing with in each award category? Miriam Stockly: As a composer and artist, I am rooting for Album of the Year or Best World Album. As a singer, a huge part of me would be really chuffed if we managed to get Best Vocal Album. I am very biased when it comes to the quality of vocals we perform on this album. Richard Gannaway: It is great to see that the album has connected strongly with ZMR’s global network, and we hope the uniqueness of AOMusic’s universal palette shines through in these categories. John: I must say your release really is special from the rest, so I hope the best for you in the ZMR Awards later in 2012. The children and boys choirs featured on – …and Love Rages On! 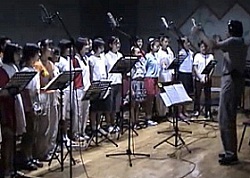 – are youth choirs from Africa, America, China and the People’s Republic of Georgia. How did you select the children and boys choirs for your world fusion release? Richard Gannaway: Thank You! Thus far, we haven’t needed to go searching the world for children’s ensembles. In most of the regions we travel, our hosts procure good choirs for us, and we arrange to record them on location. I also receive numerous invitations to record children in several countries. With regard to this album: We were introduced to the CRC Children’s Choir during our first trip to Beijing in 2001. The Martve Boys Choir was introduced to me at a press conference in Tbilisi for a possible concert to benefit a local orphanage. The Johannesburg ensemble is from the grammar school Miriam attended as a child, and the other two choirs are from the towns we each reside in. John: Could you give us some information on the international choirs, featured in – …and Love Rages On! – album? Richard Gannaway: The CRC Children’s Choir is a group of kids that are handpicked from all over the Republic of China. They are the best-trained youth choir we have ever encountered, and their ears are highly developed. They were very shy and reserved at first, though by our third trip to Beijing, they were in full form. The Martve Boys Choir in Tbilisi is the preparatory version of the famous Rustavi Singers. A few of the children are recruited from orphanages, and the choir is underfunded. The vocal polyphony is a Georgian folk tradition that blends East, Middle East and Western influence – very beautiful. The choir in Johannesburg is from a grammar school, well known for its music program, and directed by three women with prestigious classical backgrounds. Several of the children are from the countryside, and a few are adopted by the school, which sometimes takes in homeless kids. John: What is the best part about working with, and getting to know the kids of all nationalities personally? Richard Gannaway: There are several things wonderful about that, but primarily it is a tremendous curiosity the children exhibit towards us, because westerners do not often engage them in this way. In the places we tend to visit, their lives are full of tradition, and they are very keen on sharing customs. Naturally their joy and enthusiasm is a great experience, and when we add their tracks to a song, it never fails to surprise the three of us how they bring that final measure of authenticity and spirit we like to strive for. Aside from travel logistics, they are probably the easiest part of the production process, which anyone in the recording arts will attest, can be very meticulous work. John: I read you have also established a non-profit foundation to benefit the children and other fundraising projects. How are your donations distributed to the organization, and where can people donate money? Richard Gannaway: AO Foundation International is an umbrella for well-organized, grassroots causes around the globe, and we have barely scratched the surface of what is out there. The focus is on children, community and sustainability. The AOFI non-profit model will ultimately provide a way for artists to share intellectual property with several of these charities, as well as specific causes in the regions where we record children. 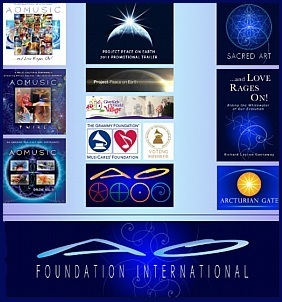 Presently, through HavServe, Arcturian Gate (our indie label) donates 10% of this album’s sales to construction of a sustainable village in Haiti, where children were orphaned by the 2008 earthquake. People can make a donation to the AOMUSIC 4 Haiti campaign by visiting our website – aomusic.com. John: The children and boy’s choirs are very much an integral part of – …and Love Rages On! You also have a number of great artists who perform instrumentals. Could you tell us about the contributing artists? Richard Gannaway: Yes, the circle of contributing artists has expanded over the years. Sandeep Chowta is a popular Bollywood film score composer, and as a contributing producer, he brings a vast resource of talent in that region. Ashwin Srinivasan plays Indian flute, which Sandeep recorded in his Mumbai studio. Michael Cooney is a national champion piper from Tipperary who played Irish penny whistle on the album, and was recently nominated for an Irish Music Association Award. Kimba Arem from Boulder, Colorado played didgeridoo on our last two albums, and is known all over the world for her work in music and sound therapy. The AOMusic regulars are Andy Georges, who helps out with various stringed instruments, and has been recording with Jay Oliver and myself since the early nineties. 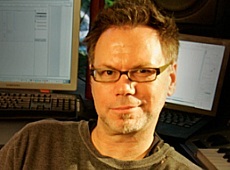 He occasionally contributes as co-writer, and spends a lot of time doing film score work on the west coast. George Bernardo (percussion) and Doug Lunn (bass) are also regular contributors whom we have known for many years, and they just completed Doug’s first solo album, the Doug Lunn Project, which is now getting excellent reviews in the jazz world. John: How were you introduced to the music professionals who make up AOMusic? Richard: Jay Oliver and I are originally from St Louis, Missouri and met there in 1988 through a mutual friend as he was about to go on tour with Jimmy Buffett. We invited Miriam to sing on On Jai Ya in 2001, though we didn’t meet her until she and her family moved to Orlando, Florida a few years later. Jay introduced me to Andy Georges in 1989, who helped me start the rock project Tiger & the Helix. I met George Bernardo in Tampa, Florida in 1995 soon after releasing the Peace Face album, and in 2002 we all met Doug Lunn at our Carlsbad studio, while he was touring with Peter Buffett’s Spirit Dance project. John: You both are primary members, in addition to Jay Oliver. How did AOMusic begin, and how has AOMusic progressed over the years musically? Richard Gannaway: In 1996, I had just come off an overseas Helix tour with visions of a new project full of world textures and children. I approached Jay with the idea, and as altruistic as it seemed at the time, he was eager to explore it with me. Peter Gabriel, Deep Forest and Adiemus had already broken some really interesting ground, which seemed to imply a frontier of hybrid possibilities, so we simply took songs I had written for the next Helix album and replaced the rock instruments with key-generated ethnic samples. 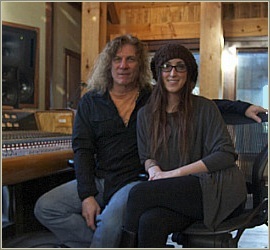 Our female singer friends recorded the refrains in a higher register to emulate children, and at the time, Jay was touring on and off with Glenn Frey and Dave Weckl, though we finally released the Grow Wild album in 2000. Since then, we have been exploring music traditions in other parts of the world, which gives us a new depth of field for putting songs together. Jay offers a lot of possibilities for supporting a piece with interesting harmony. He is also a perfectionist when it comes to rhythm and feel, which has taught me quite a lot. After our sessions, we spend a good amount of time discussing why we are so smitten with this or that new musical discovery, and most of the time it just comes down to a few simple chords and a melody. We have learned that if we bring Miriam a well-crafted musical bed to sing over, she’ll be inspired to do amazing things. John: AOMusic was selected to compose theme music for the 2008 Summer Olympics in Beijing and Give Kids the World. Plus AOMusic is featured in the 2011 promotional trailer for Project Peace On Earth. How did you both become involved with these projects, and what is the mission behind the projects? Miriam Stockly: I was living in London at the time when I received a call from Richard in the States. He asked me if I would be interested in working on a piece of music he and Jay had composed specifically for the Chinese Olympics. He had heard my work with ‘Adiemus’ and he wanted to incorporate my African kids tribal sound (to which I had become synonymous) into the track. That is how I became involved. Richard Gannaway: Frank Mayor of Cinevision International brought Jay and I to Beijing in 2001 and introduced us to a China Record Company executive who was asked by the Beijing Olympic Committee to procure theme music. We gave him Grow Wild as a demo, and the committee liked it enough to give us a go at it. Give Kids the World is a fantasy resort where terminally ill children from around the world can go with their families – often the end product of the Make a Wish Foundation. Miriam and I were invited to tour the complex, after which they asked us to write their theme piece, which is the first track Gaiya Lo Mane. Steve Robertson of Project Peace on Earth called me in 2009, just after we released the Twirl album and invited AOMusic to be a musical ambassador for the project. The PPOE vision is to hold concerts once a year at a sacred site, like Stonehenge, the Great Pyramids, Machu Pichu, etc, and simulcast the show to a global audience for fundraising, similar to Live-Aid. The proceeds then feed and clothes children in the Middle East and Africa. John: Richard, I know you and Miriam are committed to helping children around the world, and you try to spread the message and support them in a number of ways. What moved you, or what was the catalyst that first led to your own personal decision to provide support for children’s projects? Miriam Stockly: I am a mother of two beautiful and talented children, who have been fortunate enough to grow up in a loving and nurturing environment, unlike so many children in war torn, weather stricken and third world countries. Children are an inspiration to us all. Their innocence touches our hearts and the message that is sent out via the sound of children’s voices is a very powerful one. I have always supported children’s charities, beginning with an African child I ‘adopted’ many years ago via the Red Cross. Richard Gannaway: At the start of this project, I was simply creating an international aesthetic of children to convey a message of unity. It was not until AO began traveling in the developing world that I saw how many of them live in the most abject poverty imaginable. It first struck me on a highway outside Manila while driving past miles of city waste heaps where thousands of homeless children lived. I saw the same wretchedness in the slums of Mumbai and urban squatter villages in South Africa. I think it changes most anyone from our culture who sees that firsthand. John: The album – …and Love Rages On! – was composed different from a studio album. What was the process in which the both of you, and Jay Oliver composed, performed, and finalized the choir, vocal and instrumental parts? Miriam Stockly: Sometimes Richard would send me scratch tracks, to which I would write top melody lines. I would then fill in harmony blocks of vocals and the track would go over to LA for maestro Jay’s transformation. Other times, the track would come to me after Jay and Richard had put together the music arrangement and I would write melodies and (vocalese) lyrics over the top of the arrangement, followed by blocks of multi layered vocals. Richard Gannaway: Living in three different cities makes for an interesting way to produce an album, especially with sixty to a hundred tracks to mix per song. It works, because the three of us share a strong commitment to the music, and at the end of the day, that’s what it’s about for us. After 15 years AOMusic still leads us into new musical territory, and getting people to connect with the songs is what ultimately fuels AO Foundation International, so we have to keep improving. John: Miriam, you also have your own solo career, releasing the albums Miriam, Second Nature & Eternal, plus you have performed vocals on Karl Jenkins’ Adiemus albums. Was integrating the choir parts and your vocals (vocalese) for AOMusic a lot like the chorales in Adiemus albums? Miriam Stockly: To a certain extent, yes. The African choral sound I introduced into the Adiemus sound is what originally brought Richard, Jay and I together. However, as AOMusic has evolved, so has the vocal sound. I still use the African sounding voices when required, but I have since incorporated many other vocal textures into the mix to give the project light and shade. John: I understand you both are presently working on a new AOMusic album in 2012. I would love to release some information to help get the message out about AOMusic’s new album if possible. Is there any information you can tell us about with your newest project? Richard Gannaway: Our upcoming album is scheduled for release in early 2013, and will feature children from Haiti, Nepal, Germany, Ireland, India and the Cherokee Nation outside of Asheville, NC. We have a new contributing producer, Bill Whelan of County Galway, Ireland whom we are honored to have among us, and we’ll be tracking some interesting new artists in Sandeep Chowta’s Mumbai studio this summer. John: Perhaps there are some readers today who are interested in supporting the children too. What would you say to anyone reading our interview, about why it is so important to get involved and help support the kids? Miriam Stockly: John, someone needs to be the voice of these children. They have been displaced by acts of God, man-made wars, greed and corruption within their own governments. They are the future of our planet and we need to take off the blinkers and get involved. As humanitarians and parents, it is our moral duty to do what we can to give these kids a voice and a fighting chance. 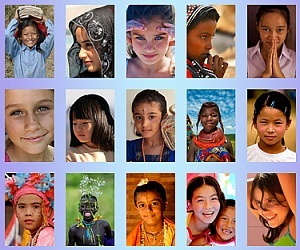 Richard Gannaway: Children populating our cultures today naturally enable our transition through the present changes, because they are a living providence of hope, and we should nurture each one as though kindling a flame for our survival. John: Your message is indeed worth sharing. Thank you both again for taking time out for our interview together and I hope we have a chance to visit again soon. I wish the best for AOMusic in the Zone Music Reporter Awards for 2012. I always try to write a news publication about the ZMR Awards after the winners are announced so I hope to include AOMusic in one or more categories when announced on March 11, 2012. In closing, is there anything you would like to express to AOMusic fans and people who have supported you and the children over the years? Richard Gannaway: Our deepest gratitude to ZMR and a world of great radio hosts and listeners for supporting these wonderful music genres. We are sincerely honored and privileged to be in the running this round. Miriam Stockly: We thank you all from the bottom of our hearts for your loyalty and your support throughout the years, for believing in the quality of the music and message within. Most importantly, the children around the world thank you for not forgetting about them. Visit the AOMusic.com homepage to sample or purchase or visit Amazon.com. Visit the primary member’s websites at RichardGannaway.com – MiriamStockley.com – JayOliver.com. Read more about the organizations Richard and Miriam mentioned at; AO Foundation International – HavServe – AOMUSIC 4 Haiti campaign. Photos are courtesy aomusic.com. AOMusic – and Love Rages On! AOMusic has a beautiful World Fusion music release after their up-and-coming albums Twirl & Grow Wild which share the identical trait of being lively, world-beat music rhythms you are sure to love. To me, what makes AOMusic special, aside from the beautiful melodies, are the central performers themselves knowing every artist is a veteran music professional. AOMusic’s new release is enthusiastically titled – and Love Rages On! If the colorful album cover and title doesn’t immediately catch your attention, the 9 brilliant songs that integrate World Fusion music with inspiring children’s choir will. Already familiar with AOMusic, I am excited to tell you all about this special group! 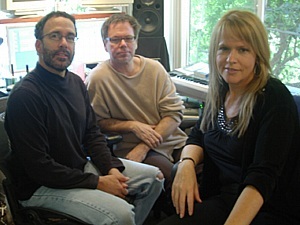 Richard Gannaway, Jay Oliver, and Miriam Stockly are the leading artists in AOMusic. Between the three artist’s careers, they have worked with popular music celebrities like; Sheryl Crow, The Eagles, Joe Walsh, Queen, Freddie Mercury, George Michael, Chaka Khan, Jimmy Buffett, Celine Dion, Bonnie Raitt, Tina Turner, David Arkenstone and Mike Oldfield. Believe it or not this all-star music celebrity lineup is a partial list, but it gives you a pretty good idea about the high level of quality these artists are recognized for. And there is much more! AOMusic shares a genuine message of unity with – and Love Rages On! 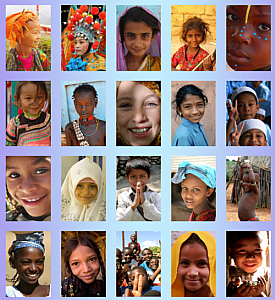 – It is on this release where ethnic harmonies of children’s choirs from four continents are united with superb world music rhythms and contemporary instrumentals. Founding artist Richard Gannaway also sings vocals and plays stringed instruments. Jay Oliver performs keyboards and synthesizers. Miriam Stockley, who is a key member, sings vocals on this release after joining Richard Gannaway and Jay Oliver during the time of their second album Grow Wild which went Top 5 on Zone Music Reporter’s Top 100 airplay chart. And Love Rages On! – is a colorful and vibrant album that will make your heart soar! 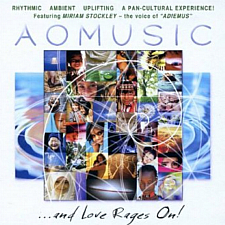 AO Music takes intricate World Music rhythms and beautiful choir music to the highest level. In fact, I wouldn’t be surprised if AOMusic – and Love Rages On! – is the recipient of one or more “Best Album of the Year Awards for 2011” when review publicists and music sites announce their best album awards at the beginning of 2012. You will recognize the beauty of this release even more if you are familiar with lead vocalist Miriam Stockley, who makes a grand impression on Adiemus releases. Miriam Stockley ascertains herself an amazing talent with AO Music. Other essential members in – and Love Rages On! – are Sandeep Chowta who plays Indian flute tracks, and regular contributing artists Andy Georges (strings), George Bernardo (percussion), and Doug Lunn (bass guitar). 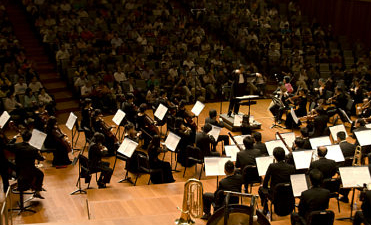 AOMusic and its central performers contribute more than a slogan of international unity in their music, having been involved with the projects AOMUSIC 4 HAITI campaign, the global benefit Project Peace On Earth, and the Beijing Olympic Committee by composing the theme music for the 2008 Summer Olympiad. And Love Rages On! – Genuinely support their values while beautifully communicating their “One People, One World” perspective of solidarity, which couldn’t be more appropriate given the current social issues experienced worldwide. In terms of the unifying harmonies you will hear on their release, I believe you will find enough inspiration to go around it will make the whole world sing! The children and boys choirs featured on this release are; CRC Children’s Choir (Beijing, P.R.C. ), Martve Boys’ Choir (Tbilisi, Peoples Republic of Georgia), Bishop Bavin St. George’s Children’s Choir (Johannesburg, South Africa), Bishop Bavin St. George’s Children’s Choir (Johannesburg, South Africa), Chorus of Light (Orlando, FL), and Rainbow Mountain Children’s School (Asheville, NC). 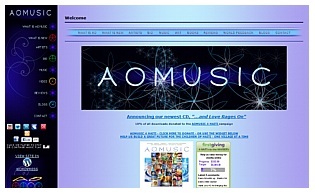 Visit the aomusic.com homepage. There is a 10% donation on all music downloads at the AOMUSIC 4 HAITI campaign. Find more on my page for AOMusic. Photos are courtesy aomusic.com. AOMusic has an exciting release entitled – …and Love Rages On! I have an AOMusic album review for their new release in a couple of days, but I first wanted to post a beautiful world music song video of Ena na Lena from their release – and Love Rages On! Richard Gannaway, Jay Oliver and Miriam Stockley who make up the leading AOMusic group, have completed a special project that unites forces with an international lineup of guest artists, and beautiful children’s choirs from around the world. AOMusic’s – and Love Rages On! – is special given the excellent contemporary instrumentals are in unison with ethnic vocal harmonies of children’s choirs and ensembles from four continents worldwide which makes a very exclusive release. 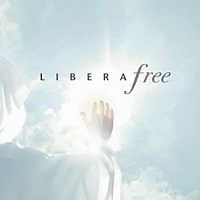 The 9 songs feature children’s choirs from Africa, America, China and the People’s Republic of Georgia. Until I tell you more about this special world fusion album, enjoy the AOMusic video below and visit their homepage. Visit the aomusic.com homepage. There is a 10% donation on all music downloads at the AOMUSIC 4 HAITI campaign. Banner is courtesy aomusic.com.